Dreamtime provides some really good sport climbing. There are numerous easy and mid-grade sport routes, as well as some harder ones. 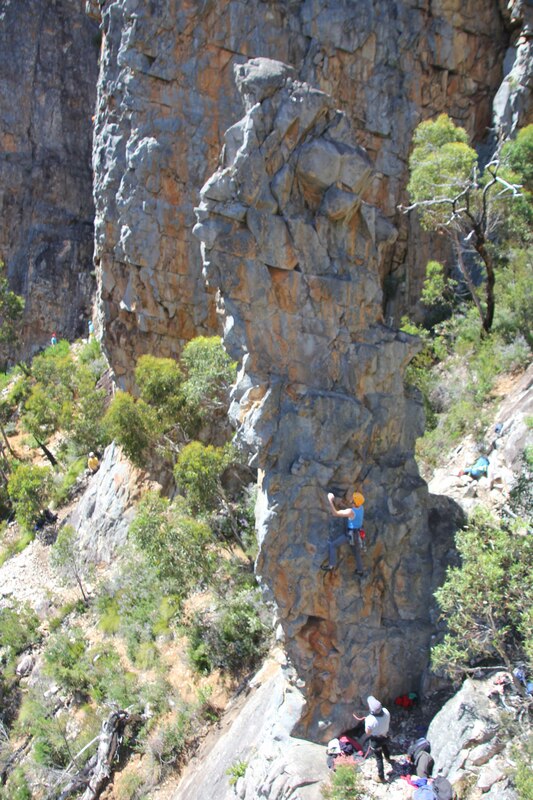 The routes are really varied, including some of the easiest sport routes in the Grampians, to some of the longest. As with the VCC trips last year and earlier this year, the focus will be on leading, not seconding. This trip is about taking the next step and pushing your leading on sport routes. In the terms of VCC Club Trips, you need to be an Advanced Climber. We will be ‘bush camping’ near the crag. Dave Scarlett will be the trip leader. He has been to Dreamtime several times, and knows the crag well. He even has a few projects to ‘put to bed’! Numbers on this trip will be limited, so contact Dave early to secure your place. Photo: Michael O’Reilly leading 234 Duck* (18) on Prince Albert Pinnacle.